First, the companies for which the judges work (besides their assignment at the FPC) are now explicitly indicated for each and every judge. Since Art. 4 of the revised Guidelines now extends to these companies, parties are enabled to more easily investigate the independence of the judges. In order to further enable parties to do such checks, the FPC has compiled a leaflet on how to use official patent, trademark and design databases (embedded hereinbelow). 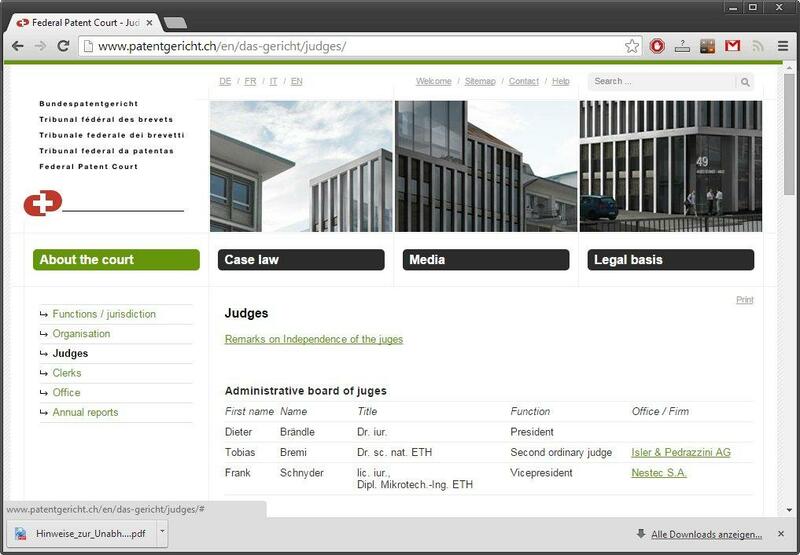 This leaflet is accessible via a link atop the list of judges (see above screenshot). 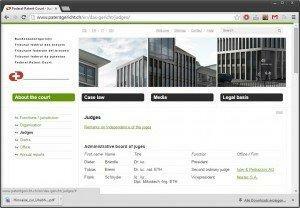 Next PostNext Litigation on clamping systems: Matter fixed?